Our new CD is a book! 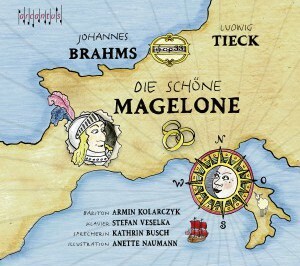 Johannes Brahms, „Die schöne Magelone“ in an abundantly illustrated version with drawings by Anette Naumann. The texts are read by the actress Kathrin Busch – and the music is sensitively interpreted by Armin Kolarczyk and Stefan Veselka.